There is something so beautiful and innocent about a sky full of delightfully colored kites. Any time we joyfully announce “Let’s go fly a kite!” in our house, our children come running! They’re delighted by the dips and spins of these little diamond-shaped wonder charms, high in the sky. It’s National Kite Month, and Chicagoland is filled with opportunities to experience this springtime spectacle firsthand. Check out this list of local parks where you can participate in statewide “Flying for Kids” kite flying festivals and activities. So gather up your kids, perhaps some grandparents, a blanket, and a picnic lunch. Then, head out to witness some good old-fashioned kite-flying fun! To learn more about Illinois’s statewide kite fly, visit ilparks.org. Parking is $5/car. Food trucks arrive at 5:00pm. Bring your own kite or purchase one for $3 when you get there. Wind permitting, Chicago Kite will be doing some kite demonstrations. The sky is the limit at Kite Day! Meet at the Prospect Park Pavilion for a free kite kit (assembly required) or bring your own. Light snacks will be provided to energize the kite flyers! Each year, more than 1,000 people of all ages flock to Wheaton’s Graf Park to celebrate the arrival of spring with a festive kite fly. The grand launch will take place at 11:00 am, and is followed by kids activities and a kite demonstration. Join the Park District of Park Forest for a fun-filled, family-friendly kite fly featuring contests and more! Bring your own kite to join in the festivities. For more information, call (708) 366-7500. Come fly with Chicago Kite and friends at this kite fly in Ty Warner Park. Free for all ages! Bring the whole family to the 12th annual Frontier Kite Fly Festival to check out its gigantic kite display and watch professional stunts and demos. You’ll also enjoy a family kite flying area, plenty of children’s activities to include crafts and jump houses, live music, games, giveaways, and more. For details, keep checking the Park District website, or call (630) 848-5000. Families can fly kites together, dance along to the DJ, or try their luck with a hula hoop contest. Food trucks make a picnic day at the park extra-special. Celebrate “Flying for Kids Month” with the Frankfort Park District at the 14th annual Family Fun Fly. Use your own kite, or borrow one from the Park District. Admission is free, and all are welcome. Rain date is set for Saturday, April 27 from 12:30 to 2:30 pm at Main Park. For more information, call (815) 469-9400. Spend a beautiful spring day at Commissioners Park with the Alsip Park District for a family-friendly afternoon of kite flying. You may bring your own kite, or borrow one from the Park District. You’ll also enjoy refreshments, a craft and a chance to win a prize basket. Admission is free. For more information, call (708) 389-1003. Come fly with Team Chicago Kite at this annual kite fly. Come fly with Team Chicago Kite and bring the whole family! The kite fly will take place Cenes Four Seasons Park. Don’t miss the 21st Annual Chicago Kids and Kites Festival at Lincoln Park’s Cricket Hill! Enjoy professional kite flying demonstrations and a unique display of oversized and other interesting kites. Admission is free, and free kite kits will be available for children. There will also be other fun family activities, such as balloon artists and face painting. Don’t miss the Big Kite candy drop (weather permitting)! Food will also be available for purchase on the grounds from Robinson’s No. 1 Ribs. For last-minute event updates, check Facebook or Twitter or call 3-1-1. Walk, or take a free tram to the Chicago Botanic Garden’s Kite Festival, where you’ll enjoy musical stunt-kite performances by the Chicago Fire Kite Team and the Kite Society of Wisconsin & Illinois. Bring your own kite for public fly time, or make a kite during the event’s workshop. Sign up for the Kids’ Mad Dash. The first 30 kids to register will receive a kite to build and fly in the competition. The Kite Festival is free, but regular parking fees apply. Food and beverages will be available for purchase. For more details, call (847) 835-6801. Brush up on your kite flying skills before attending an event! Visit nationalkite month.org. Then, check out our outdoor events page for even more opportunities to enjoy the sun. 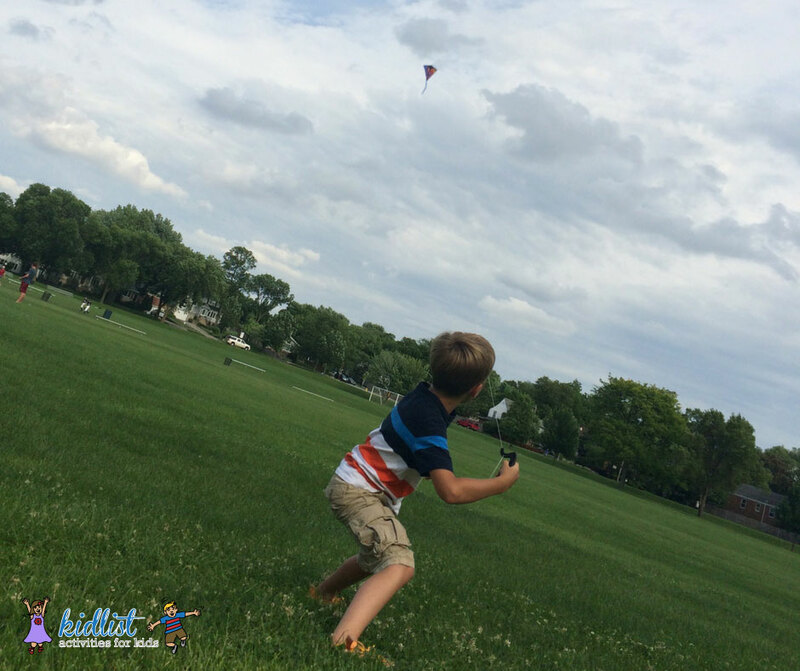 2 Comments on "2019 Kite Flying Festivals and Events in Chicagoland"